An interfaith conference is being organised to reach across Crawley’s faiths and communities to promote better understanding and to share common values, promoting community cohesion and harmony. 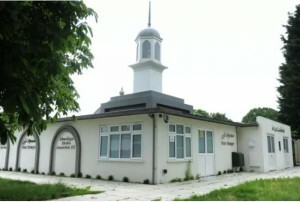 The Ahmadiyya Muslim Elders Association – Crawley branch, based at Noor Mosque in Langley Drive is planning the conference for Sunday April 15 at Langley Green from 5.15pm until about 8.30pm. The local leader of the elders association Abdul Ghafoor of Tilgate said: “To counter a climate of intolerance and hate by some, the event’s aims are to promote integration and to develop a bond of love and friendship with our neighbours, understand beliefs and way of life of others and accept them, helping build a harmonious society. “It is for this reason that Crawley’s Ahmadiyya Muslim Elders Association has organised an interfaith forum. Crawley is a diverse, multi-faith community and we seek to build on this asset and strengthen it.” The Regional leader of elder’s association covering West Sussex, Surrey and Hampshire areas, Atta ul Quddus said: “This is an event organised by volunteers, who take pride in bringing Crawley together. 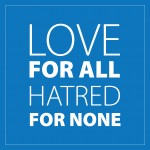 Community cohesion and love for all is the true teaching of Islam shared by all faiths. “We see faith as a path to peace, not as a corridor to conflict. The world needs love more than ever which can be achieved through education and integration. This interfaith programme promises to do exactly that. An evening with our neighbours and friends from other faiths will allow us to understand and exchange positive thoughts, thus building bridges and community cohesion. ” The association says that this interfaith programme seeks to unite all, regardless of faith, ethnicity or religion. It will be an evening where everyone and anyone can share the company of their neighbours, learn and discuss and of course build lasting friendships. Ahsan Ahmedi, the Regional President of the AMA, who has been promoting peace seminars through Interfaith dialogue throughout the South East, said: “The event is a continuation of regular events held since Noor Mosque was established and have attracted large number of people throughout the county and in Crawley and it is very important for us at the Ahmadiyya Muslim community to continue to bring people together and open up paths leading to peaceful dialogue in our towns and neighbourhoods.